Another guy who has ATI 4870 and those kind of problems. And I don't see any Geforce guy complaining so far. It really is the ATI problem then. Well it has to. Only ATI owners are experiencing those problems so far. Even 8800GT guy told that he was running fine and had no problems. No major frame drops and everything run fine. ATI drivers blows . Don't have an XP computer or dual boot or even a DVD for XP sorry. I managed to save the game so I'm just trying to load it now. It takes several attempts to get in. surely more than 1 person has the game and can post screenshots? what exactly are your default settings? and could you post some pictures using the highest settings available? Runs like crap. Tried forcing AA through CCC, doesn't work. looks nice though haha, sweet thanks! Boostaa - what kind of FPS you achieving? How does it run on lower settings? mid range? What is the resource usage? Is that how much mem your GPU is using? The pics looks really good! 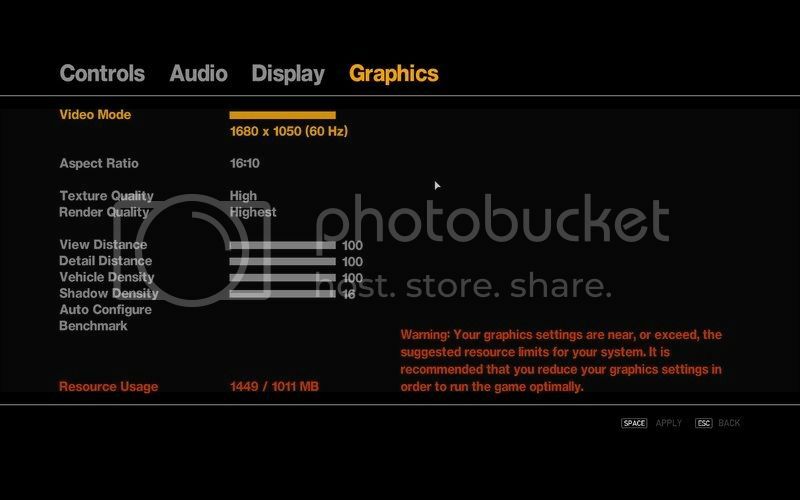 How much FPS are you getting at this settings?? Please reply..
Those pics look pretty good on high end settings. Bridge is looking great in that second screen Boostaa, thanks for posting. Is it possible to get a picture of the traffic (Especially considering you have the slider all the way up to 100 )? Anyone out there running it in SLi or Crossfire, I would like to know how they are getting on with it? Can anyone else try it on XP. Maybe you my good man Boostaa? 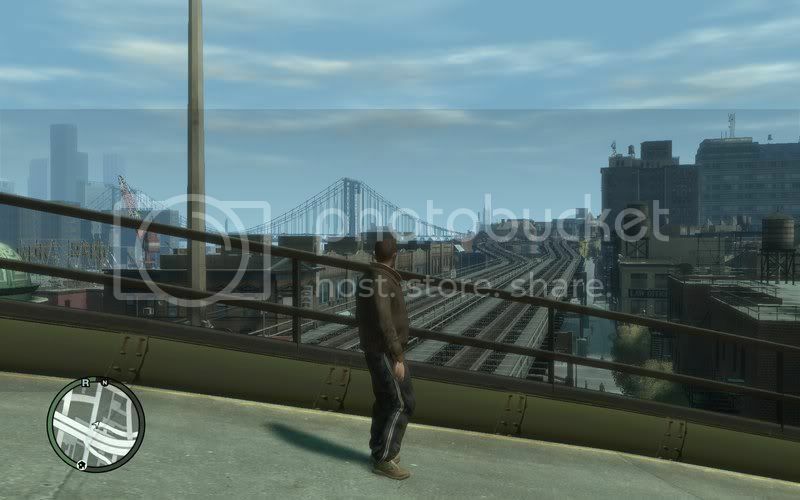 Don't you want to be the man who became a legend after figuring out how to run GTA IV on ATI cards properly ? nice. does anyone have similiar specs like mine in my sig? 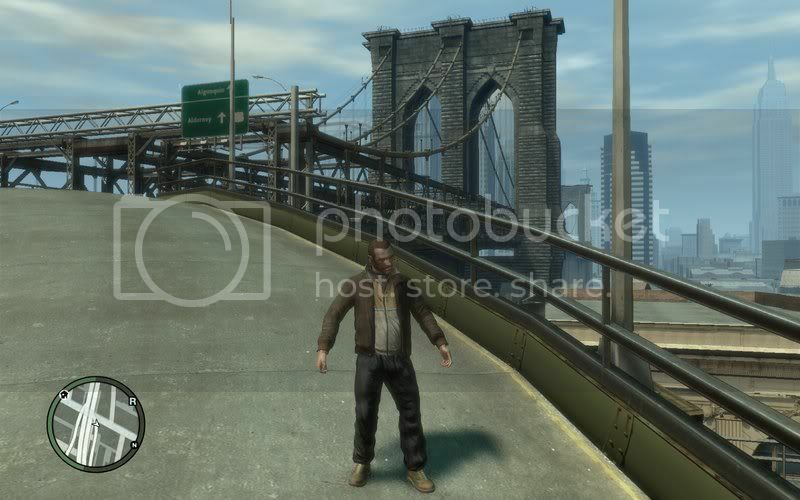 how does gta 4 run maxed out? Nice, should be similar performance to mine. Looking forward to screenies and comments on performance. Can't believe all of you bought the first computer you were offered in the shop! Seems noone has read the reviews for Vista, experienced it or at least read the reviews on ATi cards. Well i did, and fingers crossed the game will alunch on my XP with Nvidia card. Thanks to all who keep the screenies coming! I use it for more than just gaming also if that makes a difference. Can somebody with an nVidia card please post some screenshots? From memory those screenshots had about 25 fps. Drops down to the mid teens quite often, rarely goes above 30. If i lower the sliders all the way down it runs above 30 for the most part but looks really awful. Those screenshots look better than it looks in game as well because they had to be resized for photobucket. Shadows look bad all the time, and anything like a wire fence looks terrible. If anybody can host pics let me know and i can send some full size ones. I can host pics on my blog if you need assistance. You just need to change the filesize settings in Photobucket and they wont get resized. I can post 1920x1200 pics on it no problem. EDIT: just remember to post them as thumbnail clickies though, or you will get trolled. and performance mini review with specs plz. Can´t understand how haven´t happened yet.